Once again Shout!Factory has blessed us with a Super Sentai DVD set. 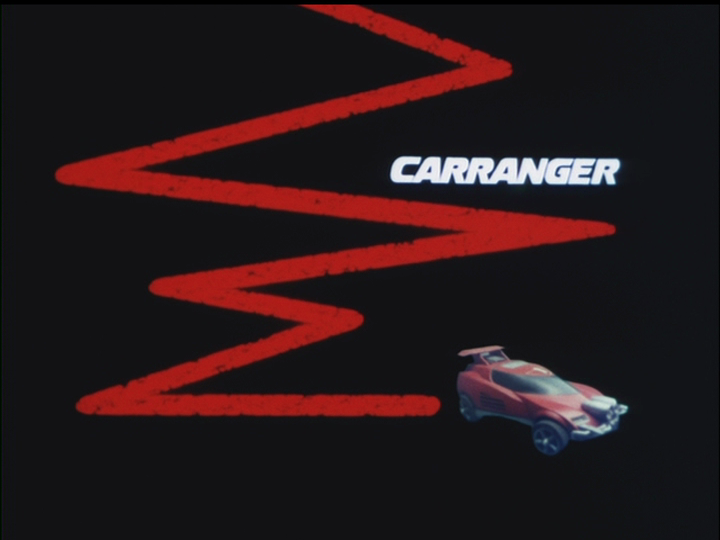 This time around it's one of my favorite series--Caaaaaaarranger! To mark the occasion, I started to slowly re-watch the series when I got my DVD set some time ago. Life kinda got in the way and I ended up watching the remaining 40 episodes in about a day and a half. Yikes... I did it, though! 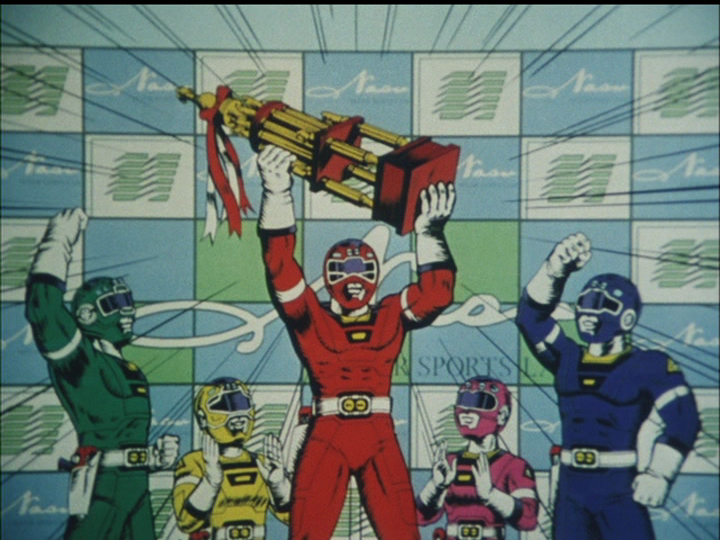 I received a good amount of love for the last series analysis I did (Ohranger Part 1, Part 2, Part 3) so I think I'm going to carry on with the format. 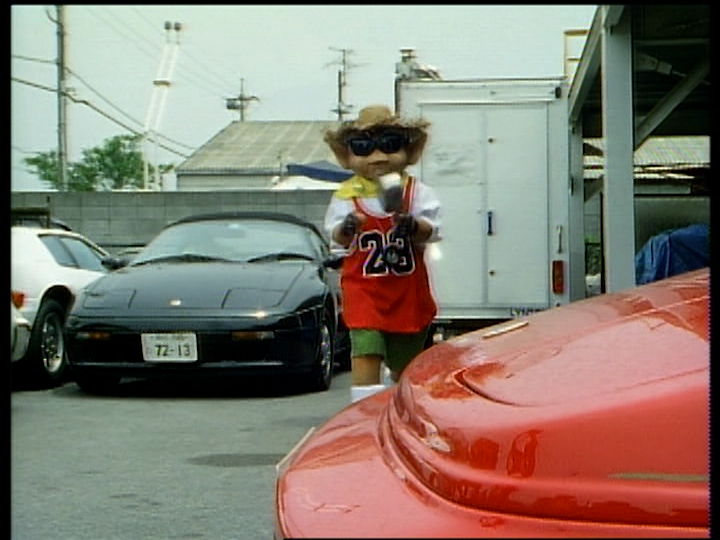 The first part of my Ohranger review was more of an overview of the show's unusual legacy, and Carranger is really no different. This may seem like a surprise since the show is generally well-liked by fans. I mean, who is the one jerk out there that doesn't like this show? There has to be one...and I will find you someday... *smashcut to Carranger-esque daydream of me finding the one person who doesn't like Carranger using the DX CarNavic*. -Yoshio Urasawa (Head writer, 29 episodes + Carranger vs. Ohranger) When you look at his resume, it all becomes clear. He was the head writer for almost all of Shotaro Ishinomori's Fushigi Comedy Series shows. I know they get a lot of flack, but I kinda enjoy the Fushigi Comedy shows. 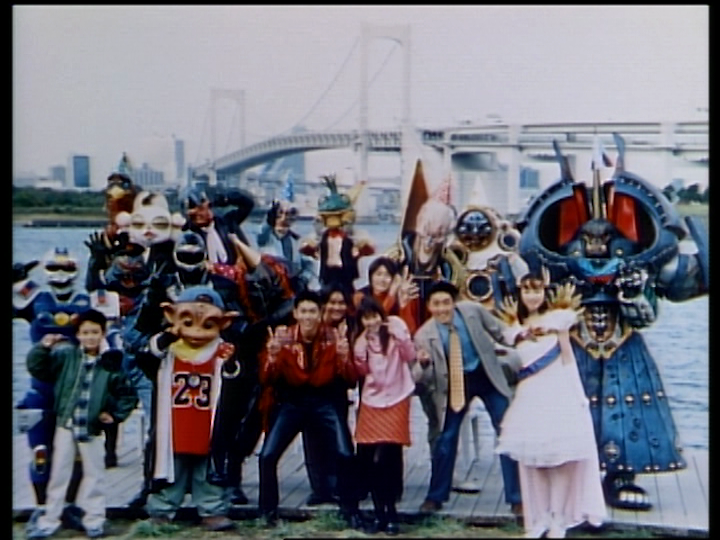 Carranger owes it's absurdity to a decade plus of Fushigi Comedy. This time, however, there is a feasible budget and a Super Sentai bible that I'm certain Toei made him follow. Naturally he went on to contribute to the ruin of Metal Hero with Kabutack and Robotack followed by genre-orphan Moero!! Robocon. -Naruhisa Arakawa (13 episodes) Arakawa got his Tokusatsu start with Kamen Rider BLACK and has been writing steadily on Toei Tokusatsu shows ever since. Shows he served as the head writer of include Abaranger, Dekaranger, Gokaiger, Akibaranger, and Kamen Rider Kuuga. -Hirohisa Soda (6 episodes) Head writer of every Super Sentai series from 1982-1990. He had written for every Sentai series except Jetman, Zyuranger, and Dairanger by the time Carranger came around. Carranger has been the last Sentai he has written for. Like Noboru Sugimura, he moved on to Capcom following his career at Toei. Another big change was in it's music. Relative newcomer Toshihiko Sahashi took on the daunting task of composing a Super Sentai series. Prior to this the only Tokusatsu work he had composed was Ultraman Powered. The similarities are there, though. I think a lot of people were wondering why I was so excited for the recent 3-Disc Ultraman Powered set. Well, now you know. I wouldn't say that Sahashi is in my Top 5, but definitely Top 10. He has a distinct style that has been evolving nicely over time. When I find myself digging a random music collection, I usually look at who the composer is and, sure enough, it's him. He does the epic-hero-music really well. Sahashi has also been responsible for composing Ultraman Powered, Ultraman Gaia, Ultraman Mebius, Gingaman, Kyoryuger, Kyoryuger Brave, Kamen Rider Kuuga, Kamen Rider Agito, Kamen Rider Hibiki, Kamen Rider Den-o, and Tomica Hero Rescue Force. 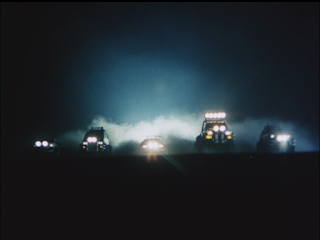 The theme of the series itself is also pretty notable. While yes, the show does feature quite a bit of the usual space-aliens-threaten-humanity, there is a new dynamic to each side of the fight. 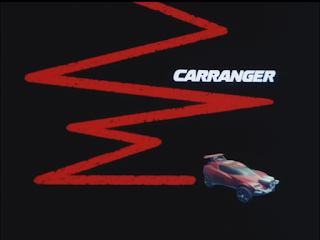 Our heroes, Carranger, are a group who work at a budding car company that primarily repairs British vehicles rather than building their own dream cars. Anyone will tell you that Turboranger was the first car-themed Super Sentai...but was it? The designs certainly were, but the plot basically limited that to the scientist behind the Turboranger tech, Dazai, being a gearhead. 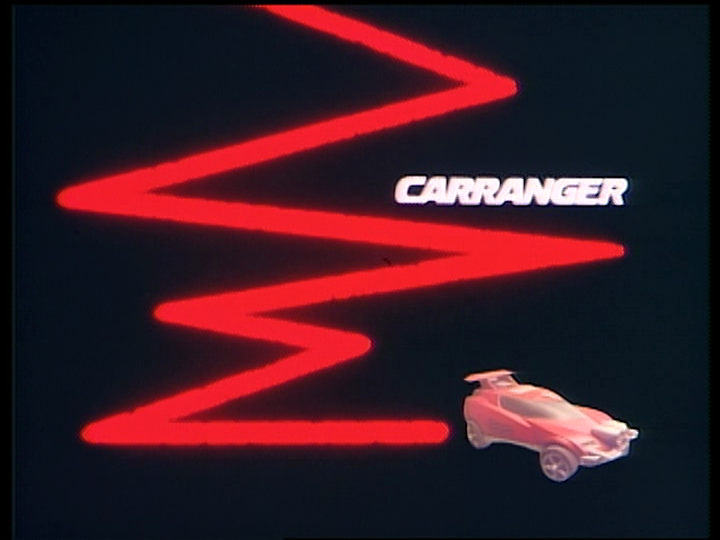 Carranger took it a big step further and modeled basically every aspect of the show around some kind of automotive topic. Which leads me to Bowzock. 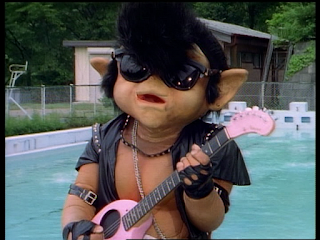 While the hero side is a little more straight-forward, Bowzock tends to be a bit more on the cultural side. It's pretty obvious that they're modeled after the (now dying) Bosozoku gangs, but did you ever notice that Gynamo's costume basically has a tokkofuku long coat styled into it? While yes, they were trying to turn the Erf into fireworks, they were really more of a menace than an actual threat most of the series. This is kinda where Urasawa's Fushigi Comedy series past comes in. Bowzock does quite a lot of general mingling throughout the series. Some people seem a little more weirded out by their presence than others, but in general they just seem to blend in. It's an interesting dynamic, but not entirely foreign from what Kakuranger did with their weekly Yokai. I have to say, though, one of my favorite parts of the series is car spotting. It's pretty clear that there was at least one person on staff in charge of the actual car aspect of the series (Minoru and Zonette each had an Autobianchi...what an odd pull...). Cars have always been my first love, so I always enjoy the opportunity to spot old vehicles. Pegasus had to have been filmed in a functioning repair shop during weekends. I'm not entirely up on the production side of the series, but it's pretty clear that they would take over a real shop for a bit to film scenes and move on the their hidden base. The amount of really cool (almost entirely British) cars that cycled through the shop during the series is extra eye candy to me. Even the car that they finally created in the finale was the then-new Lotus Elise. If Pegasus really did come up with the Elise as their first car it would have been quite the tremendous achievement as it's still being produced today. In the next post I am going to talk characters. This series has no shortage of characters, so expect a long read! Thanks for dropping in this week. Remember, don't play behind a parked car! I'm glad you brought up about picture fuzziness, though. I noticed that on a couple of Kakuranger and was freaking out I had a bum set or something. I compared it to a download I had, which was also fuzzy looking, so...I guess Toei just doesn't take care of some episodes...? The late '90s shows are notorious for having varying quality, though. 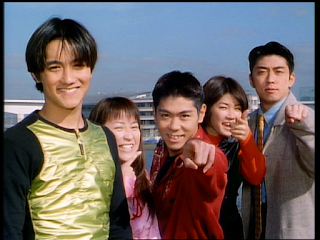 I don't know why, but I always think of a hazy look when I think of Gingaman or GoGoFive. Looking forward to your other Carranger posts! Are you like me, one of those people who likes a band better before everyone else does? There's so much Carranger love now I'm like "I remember before it was cool to like Carranger. Having to fight people who thought it was some dumb, Power Rangers-level show." It's always had a cult following in Japan, but in the American fandom, there were people who were convinced it was the death of the franchise. Nobody got it but the cool kids. I tend to forget/ignore producers because it's just about the least sexiest job in show business. Yes, you're totally right though. They're a huge influence on what direction a series goes. I keep thinking that they had a car wrangler on staff, but you're probably right there too. It is Toei and no Warner Brothers afterall. Hahaa. I'm sure you remember the JH days. Jeff and I openly loved Carranger while everyone else was after whatever was airing. The other guy loves everything...especially that Car Red. He was totally his favorite next to Kakured, Daired, and Zyured. Kinda shows on my channel too. I think I've reviewed more Carranger toys than any other series. Hell, I even did a short video on the Super Famicom game (mostly because it's kind of a weird set-up to play it...but also because I think for every one physical copy of the game that exists there is a thousand people who downloaded the rom). It's amazing what subs can do to turn around a show's legacy. Heh.